QWSTION encourages a discerning and curious clientele to query the true quality of products and their own behavior as consumers. At the same time, the team working alongside founders Sebastian Kruit, Fabrice Aeberhard, Matthias Graf, Hannes Schoenegger and Christian Kaegi are driven to continuously analyze, reconsider and optimize existing approaches to design, function, materials and the corresponding processes. Until virtually no questions remain. 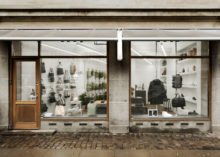 “We will probably never reach that point,” says designer Christian Kaegi, adding: “We see our work as an ever-expanding learning process that constantly drives us forward.” Since its foundation in Zurich in 2008, the company has progressed, particularly with their internal development of suitable materials, which often gives rise to new questions worth investigating. 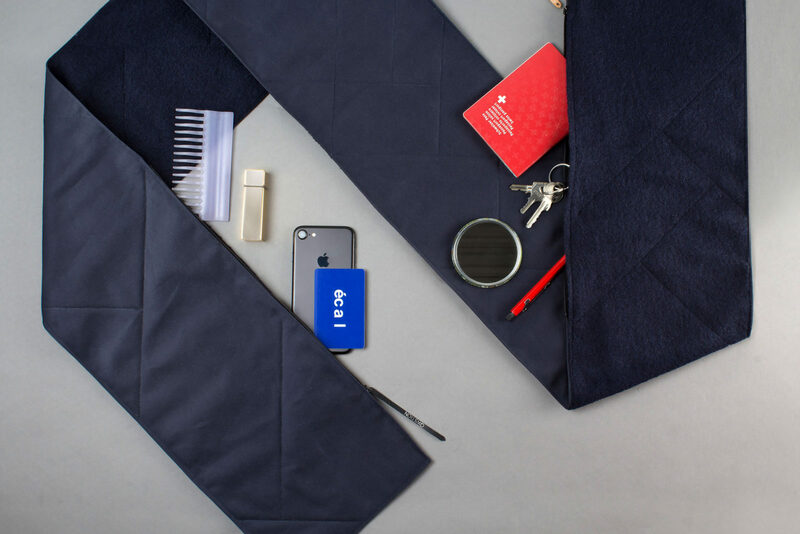 “In the field of product design, we see ourselves as a brand with a serious responsibility. 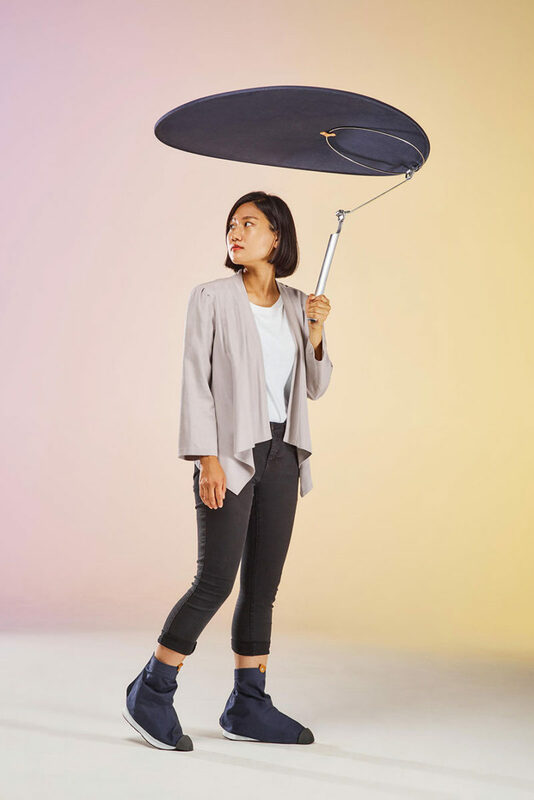 We certainly want to create appealing and accessible products, but with the constant objective of using nature as gently as possible.” This, according to the founders, has yet to become the norm in their business. In contrast to some other brands, QWSTION does not design new seasonal collections each year. While new models are added to the range every now and then, it’s more important that existing ones are revised and improved upon. The latter, in particular, means that the team bring their influence to bear even when the raw material for yarn is first procured. “Material development has not always been an integral part of our process,” says Christian Kaegi. “For our very first collection, we sought out a fabric manufacturer who was able to supply us with existing material. We simply wanted to implement it for our designs.” However, the founders agreed that it should be as natural as possible from the very beginning. 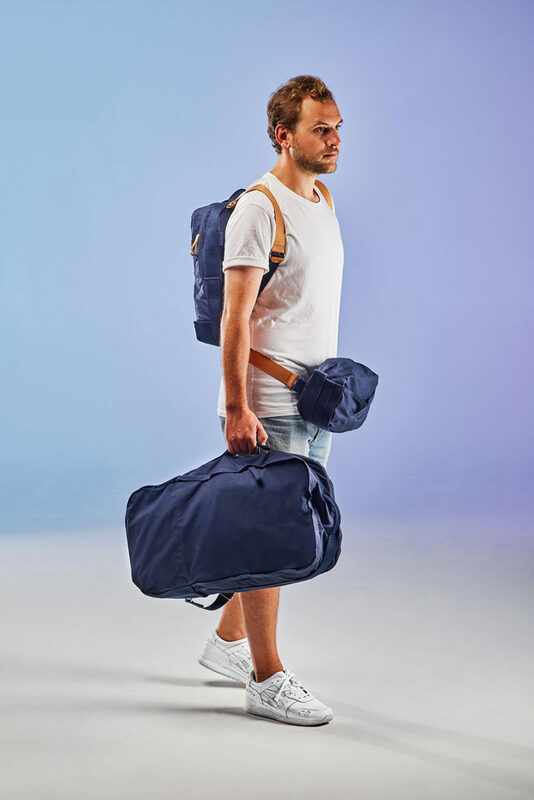 “Even during our design studies, the sustainable use of resources was an ongoing topic.” This meant that they did not want to use nylon with a PVC coating for their own bags, but rather a natural fiber such as waxed cotton. “That was our principle idea very early on”, says Christian Kaegi. The plan to manufacture in China was also quickly discussed because ten years ago there was already a lot of know-how and the corresponding infrastructure on relatively clear terms. It goes without saying that production in China should be done under transparent, ecologically and ethically acceptable conditions. “At the beginning we had some negative experiences with the obtaining materials and didn’t receive what we had ordered. So it soon became clear to us that we wanted to find producers with whom we could collaborate early on in the manufacturing process.” That means at the procurement stage for the fiber; we wouldn’t wait until the production of the woven fabric. QWSTION found what it was looking for in the Chinese city of Huizhou, located just outside Hong Kong. In close collaboration with a tannery and other production facilities in the region, they’ve been working on the production of natural and innovative fabrics since 2009. This cooperation has always been monitored with quarterly visits by Christian Kaegi in order to verify the quality standards. Consequently, QWSTION’s main collaborators are BSCI-certified, meaning they carry the seal of approval set out by an EU initiative that regulates a code of conduct with ecological guidelines and fair standards for employees. Whether BSCI-certified or not, QWSTION visit all of their collaborators regularly to check the quality of the production on site. QWSTION has continuously improved the quality of the materials over the years. Today, while 85 percent of the cotton used for the main materials is sustainable, and many of the other materials are produced similarly, the company constantly invests to even increase the percentage. 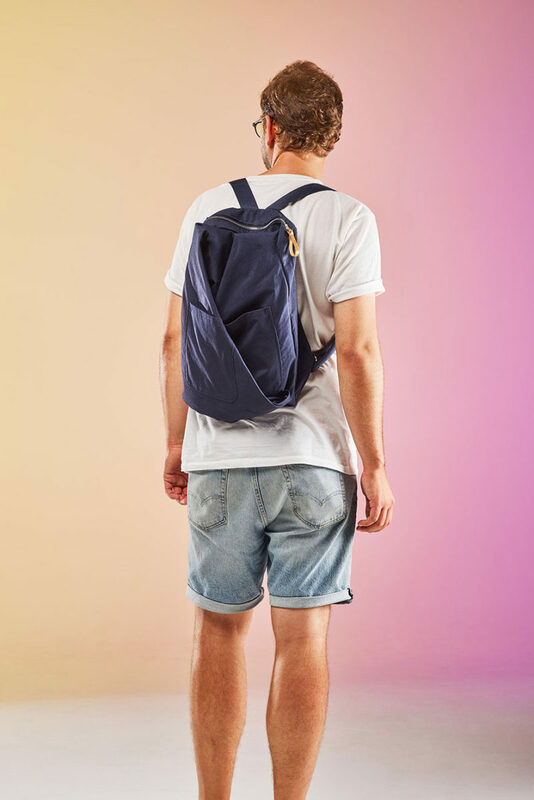 Organic cotton, recycled cotton or vegetable-tanned leather are used for simple and multifunctional backpacks, weekenders, tote bags and travel bags. 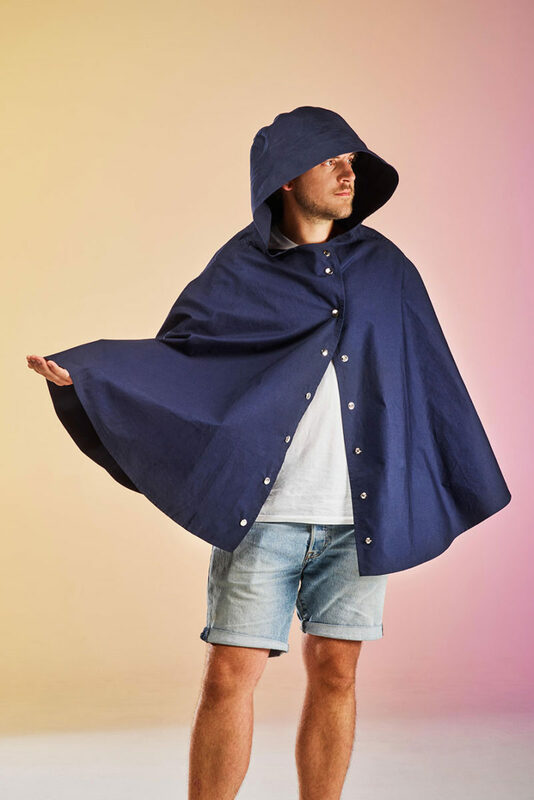 From this typical QWSTION assortment, one piece of clothing stands out: An all-weather coat, created in cooperation with the Zurich-based textile development studio D.N.S (Development Never Stops). Although not a bag, the coat made of CottonShell is a prime example of QWSTION’s desire for innovation and their sensible use of materials. Compared to other materials, producing a CottonShell coat requires less energy. 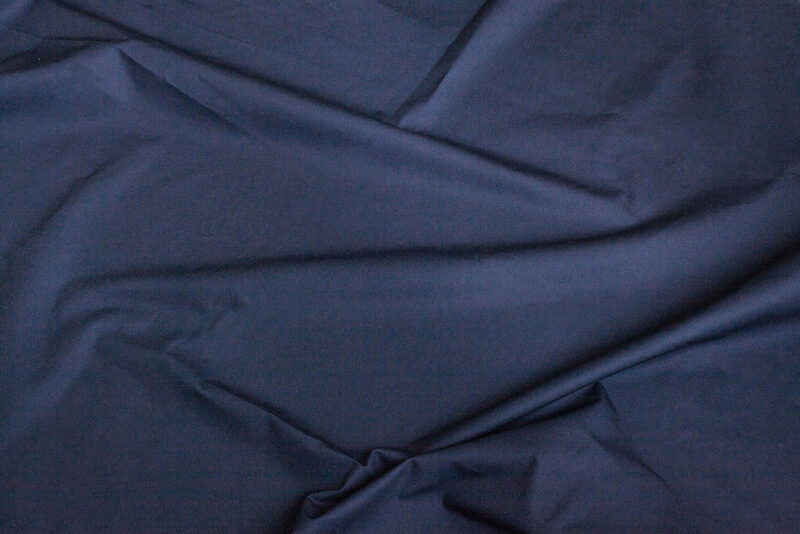 Made by Polish tailors, the processing is easy and returns to the roots of manufacturing. One of the big questions that continuously arises in the work of Christian Kaegi concerns customer needs. “As our products are attractive both visually and functionally, they certainly appeal to a broad audience. However, we still produce a niche product with our progressive approach—something not all our customers are yet aware of,” he says. “We want to do our part to change this. Hence our tasks include raising awareness for our kind of product design by providing background knowledge and demonstrating production processes.” This is a clear insight that QWSTION, for once, does not call into question. 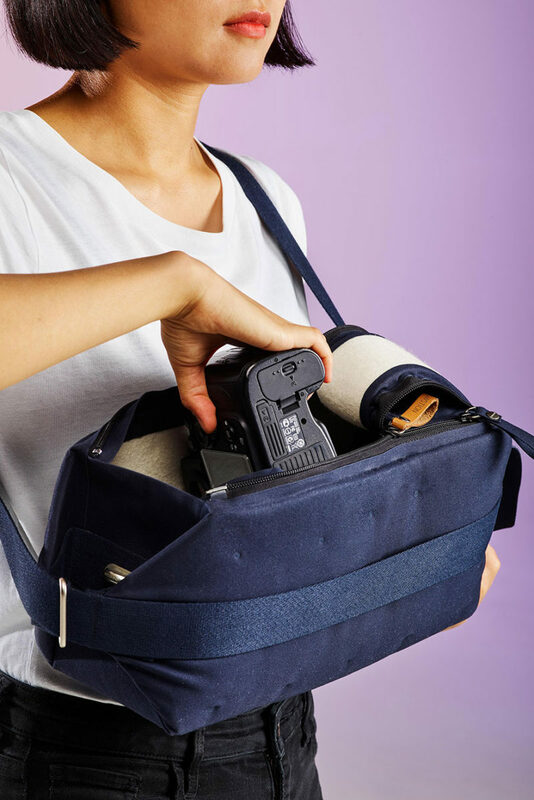 The Zurich bag label QWSTION serves an increasingly mobile generation with functional all-rounders, having collaborated with the material producers of D.N.S (Development Never Stops) since the very beginning. Marcel Geser and Thomas Deutschenbaur and their team support QWSTION (including the founders Gründer Sebastian Kruit, Fabrice Aeberhard, Matthias Graf, Hannes Schoenegger und Christian Kaegi) in making durable design suitable for everyday use. The company CottonShell also originates from Switzerland and produce the breathable, waterproof cotton fabrics. By implementing innovative concepts, employees like Thomas Deutschenbaur aim to change our perspective on everyday garments – and remove us from the us synthetics. Learn more about D.N.S here; to find out more about CottonShell, go to their website. The centerpiece of the collaboration, the all-weather coat, is available online or at different QWSTION stores. To present the collaborative project ECAL + QWSTION, the company will host an exhibition at their Zurich store, which will be on show from 8 March until 7 April 2018. This story was co-produced by QWSTION and Freunde von Freunden and stems from a shared interest in pioneering ideas and sustainable fashion. Last year, we visited the team to gain a behind-the-scenes insight, which motivated us to delve deeper into two topics close to QWSTION’s heart: sustainable production methods and state-of-the-art concepts devoted to offline retail. Here, you can find our company profile. The following episode of this series will focus on QWSTION’s retail concept.